When an employee is wronged by their employer, it can be difficult for them to know where to turn for help. 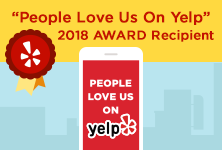 At the Law Office of Payab & Associates, our dedicated and experienced Woodland Hills employment lawyers have been advocating for the rights of California workers for more than two decades. 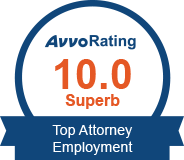 That experience has allowed us handle an array of different matters for our clients—including wage and hour issues, discrimination and retaliation claims—and secure them the results they deserve. We also handle disability, pregnancy, sexual harassment, discrimination based on race, ethnicity, age, religion, gender, and sexuality and also whistle blower and retaliation cases. Similarly, it is an unfortunate fact that people do not typically get the assistance they deserve when injured in an automobile accident, in a public space, or when injured due to the negligence of another. Many times it is insurance companies that deny individuals what is rightfully theirs, depriving them of the ability to fully recover and move on with their lives. 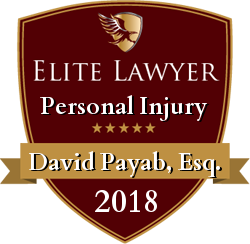 At the Law Office of Payab & Associates, we fight tirelessly for individuals who have been injured and not given their due compensation. We handle a variety of personal injury cases, including: car accidents, pedestrian accidents, wrongful death, dog bites, slip & fall cases, and premise liability cases, motorcycle, bicycle and truck accidents . You do not have to be alone in this. Our Attorneys in Woodland Hills can guide you through the entire legal process to get you the best results possible in your specific case. Start the process today. Call us at (818) 918-5522 to request a consultation with our dedicated team now. 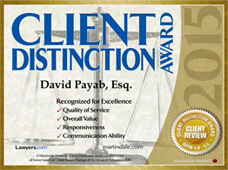 The Law Office of Payab & Associates Thank you from the bottom of my heart. Melissa, a Wrongful Termination Client. The Law Office of Payab & Associates Going with David for help was the best thing I could have done. Ashley, A Dog Bite Case Client. The Law Office of Payab & Associates I highly recommend Payab and Associates. Joel, a Client regarding Employment and Wage & Hour matters. 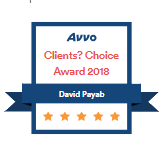 The Law Office of Payab & Associates There are no words to express my appreciation. Alan, an Auto Accident Client. 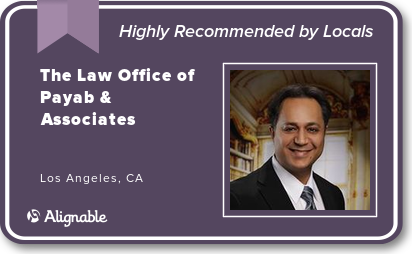 The Law Office of Payab & Associates I felt well represented with Mr. Payab as my attorney. Cesar, a Wrongful Termination & Personal Injury Client. The Law Office of Payab & Associates It was really a pleasure having him as my attorney and I greatly recommend him. Thuy D., a Slip and Fall Case Client. Call (818) 918-5522 or fill out the form below. Se Habla Español. Attorney Advertising: The information on this website is for general information purposes only. Nothing on this site should be taken as legal advice for any individual case or situation. This information is not intended to create, and receipt or viewing does not constitute, an attorney-client relationship. While Mr. Payab does not speak Spanish, he employs a dedicated staff fluent in Spanish. 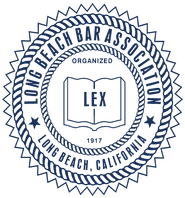 When contacting our firm or submitting information for our case review, no confidential information should be provided or divulged. Any testimonial or endorsement in this website does not constitute a guarantee, warranty, or prediction regarding the outcome of your legal matter.